The sensationalistic television shows on hoarding have come and gone, leaving behind misinformation and myth. In some respects, these shows had helped stigmatize this condition. Hoarding is not a personality flaw. It is a complicated mental illness. 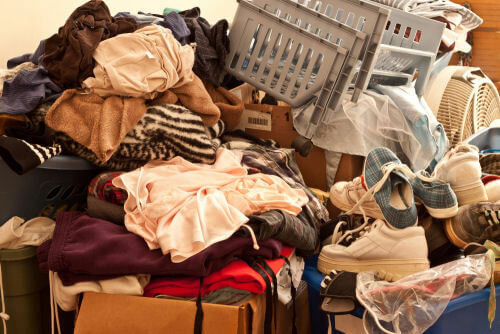 Hoarding was tucked under the Obsessive-Compulsive Disorder diagnosis until 2013. The Diagnostic and Statistical Manual of Mental Disorders (DMS) recognized the uniqueness of this disorder, setting it as a standalone diagnosis. The most common symptoms include an inability to throw away possessions without experiencing severe anxiety, difficulty organization and categorization, and an inability to decide what to keep or throw away. Often, people who hoard have a fear that they might need an item at some point, making it difficult for them to toss the item. The object may remind them of people or events. Sometimes, they anthropomorphize items, thinking that the object will have hurt feelings if it is thrown away. Fact: Studies have shown that in comparison to “healthy” brains, people who hoard have decreased activity in their anterior and posterior cingulate cortex. The anterior area controls aspects such as problem solving and decision making, while the posterior controls spatial orientation, memory, and emotion. Decreased activity in these areas influence decisions such as what need to be thrown out. Fiction: Hoarding is an old person’s disease. Fact: This disorder can be found in adolescents and young adults. However, it can get progressively worse over the life span. As the person ages, the disease becomes more severe. These are the cases that get the attention of professionals, and makes for good television. Fiction: People who hoard have “gone without” (deprivation or poverty) at some point in their lives. A common example is that the person has been traumatized by living through the Great Depression. Fiction: Hoarding is another form of Obsessive-Compulsive Disorder. Fact: It’s a bit more complicated. Although it would appear that compulsive hoarding is a symptom of OCD, it has been acknowledged as a separate disorder. People who hoard may not have the intrusive thoughts that are common with the OCD diagnosis. However, a person who hoards can also have OCD as a diagnosis. Other common comorbidities include depression and anxiety. Fiction: People who hoard just need a deep cleaning or a hazardous materials team. Fact: This will not address the underlying mental illness. There are situations in which health and safety concerns must be addressed immediately. However, without the appropriate therapies, the hoarding cycle will resume. Current treatments can include antidepressant medications such as selective serotonin reuptake inhibitors (SSRIs). Also, Cognitive Behavioral Therapy (CBT) is a form of talk therapy that has been used successfully. Ideally, part of this treatment would involve the therapist working with the person in their home, supporting and helping the person choose the items to throw away. This gives the person who hoards a sense of control, and affirms their ability to make decisions. Making the person part of the process will also help allay the anxiety that is felt regarding other people touching their belongings. Working through hoarding issues and resolutions can be overwhelming. There is hope. We can help.